Taisho in Malaysia in 2006 promoted Livita in a road safety campaign, comparing the disastrous effects of alcohol with the benefits of the Vitamin B and Taurine energy drink. “Livita Keeps You Alert” is the message. 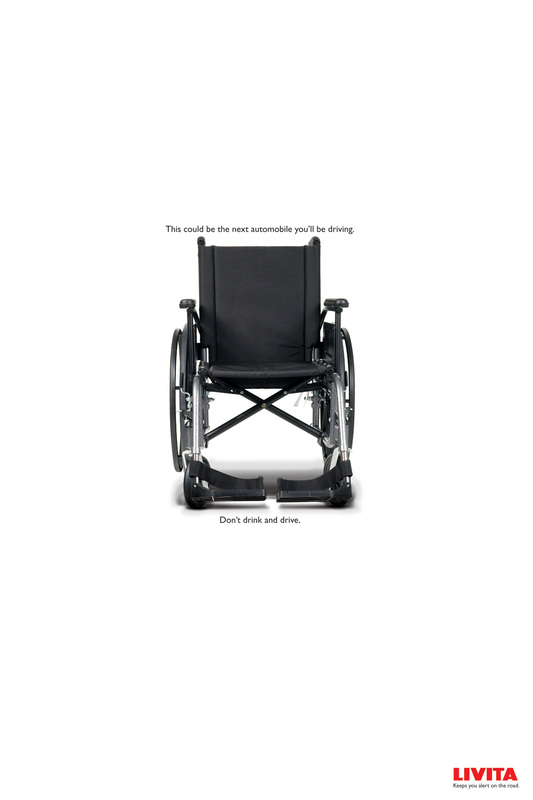 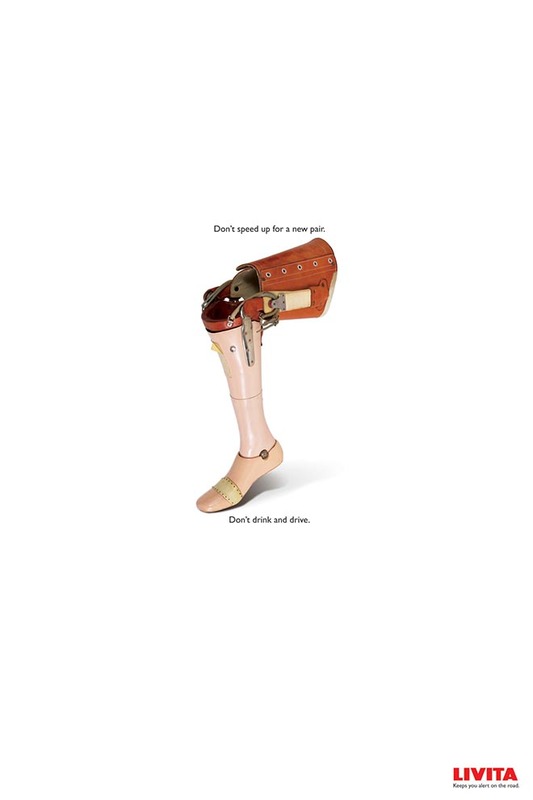 A hospital bed, artificial leg and wheelchair are associated with the warnings, “Give Coma the Full Stop”, “Don’t Speed Up for a New Pair”, and “This Could Be the Next Automobile You’ll Be Driving”. 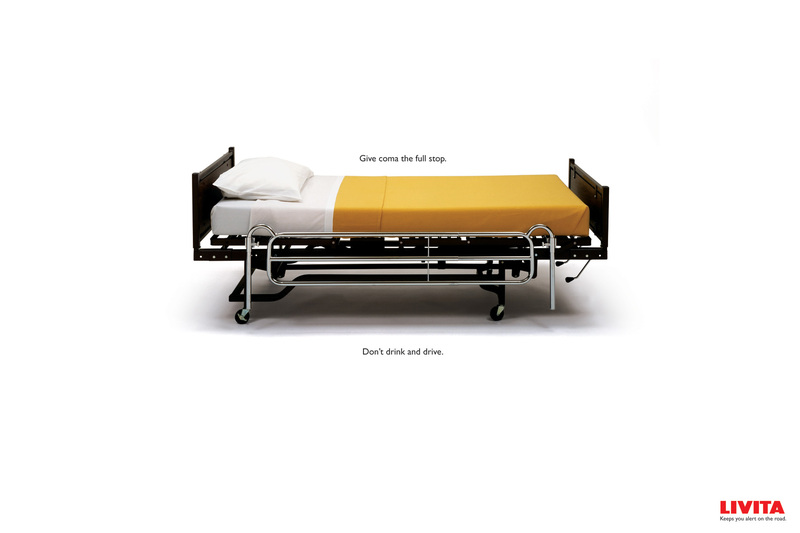 The LIVITA road safety campaign was developed at DDB International, Kuala Lumpur, by executive creative director/copywriter Roger Pe, and art director Wong Kai Ming.